Given our recent decision to add external r ender products & ancillary items to our product portfolio, we’re delighted to welcome on board our latest team member, Paul James, who has taken on the role of National Render Manager. 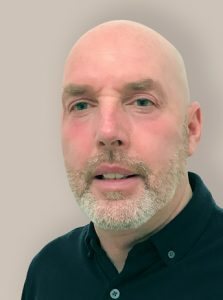 Paul has worked in the external render industry for over 13 years and brings with him a whole host of skills and expertise. His primary role will be to tap into those rendering contractors who are sick and tired of poor service and who are looking for quicker, more reliable deliveries of the products they’ve come to know, like and trust. Our aim is to become the UK’s No1 render distributor in 2019. And we are confident we can make this happen. Customer service is something we excel in at TEKFLOOR, and given that we have our own fleet of vehicles travelling to all four corners of the country on a regular basis, we can offer a speedy delivery service, often beating the turnaround of product manufacturers. So, if you have an immediate render requirement – call Paul directly on 07375 451564 or you can also contact the sales team on 01709 261007.